The Week that Was: With the NFL in midseason form, college football getting into conference play and baseball coming to the end of the regular season, it's pretty remarkable for golf to take center stage in the past sports week. And yet, it did. Ryder Cup: The Ryder Cup is a three-day, match-play event that is played every two years between the United States and Europe. The first two days are a series of team competitions. Sunday consists of twelve one-on-one matches. That makes a total of twenty-eight matches. A full point is awarded for a win. A half point is awarded to each team in a tie. Since the Europeans won in Whales two years ago, they only needed 14 points to keep possession of the Cup. The Americans needed 14.5 points to take it away. Conventional wisdom was that the Americans were stronger in the singles format than in the team play. So, when the US held a 10-6 lead heading into Sunday, the Americans seemed to be in a strong position to win back the Cup. But then Sunday happened. The Europeans dominated singles play and had clinched the Cup before Tiger Woods even finished up his anchor match. The final score was 14.5 to 13.5 in favor of the Euros. Germany's Martin Kaymer sealed the victory with when he sank a 6-foot putt for par on the 18th hole in the next-to-last group. This completed the greatest comeback in Ryder Cup history. NASCAR: The Sprint Cup Series is a third of the way through the ten-race Chase for Cup. This weekend's race was held at the Monster Mile in Dover, DE. In a race where fuel mileage was a critical facto, Brad Keselowski drove his Miller Light Dodge to victory lane for the fifth time this season. It was also the second win for the blue deuce since the Chase started. The win moved Keselowski into first place in the championship standings. Five-time champion Jimmie Johnson is just five points behind in second place. College Football: It was a wild weekend in college football. #9 West Virginia made its Big 12 debut when it hosted #25 Baylor in Morgantown. Turns out, the Mountaineers fit right in with their new conference mates. They were able to win the game without playing defense for a single down. The final score was 70-63. Yes, folks. This was a football game. Not a basketball game. The biggest story from this game was West Virginia quarterback, Geno Smith's jaw dropping performance. Smith threw eight touchdowns and only six incompletions. Baylor's defense may have as many holes as cheese cloth, but that performance would be hard to match against a Pop Warner team. MLB: The regular season concluded last night. And in the American League, it took all 162 games to sort out the playoff picture. In the AL East, the Yankees bested the Orioles by 2 games and secured home field advantage throughout the American Leauge playoffs. The Orioles did secure a wild card berth. The Tigers made it to the playoffs by winning the AL Central. But, the best race of them all ended up being in the AL West. 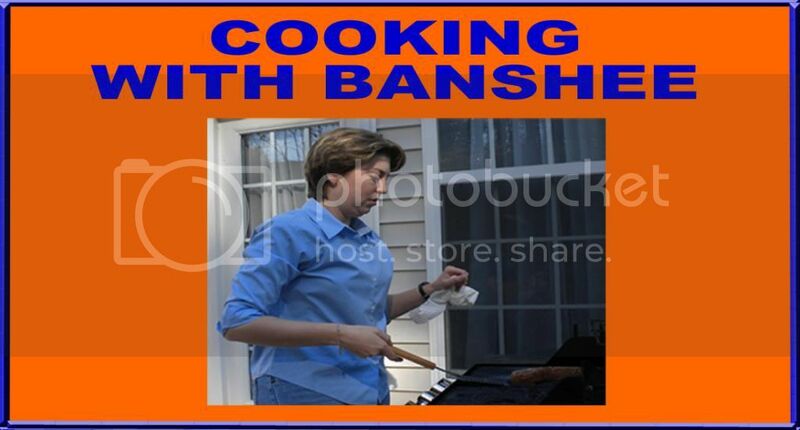 Just last week, Wild Banshee had declared that the Rangers had a comfortable lead over the Oakland A's. However, the A's continued their amazing summer-long comeback. Just goes to show what I know. On the last day of the season, the A's hosted the Rangers in a day game. 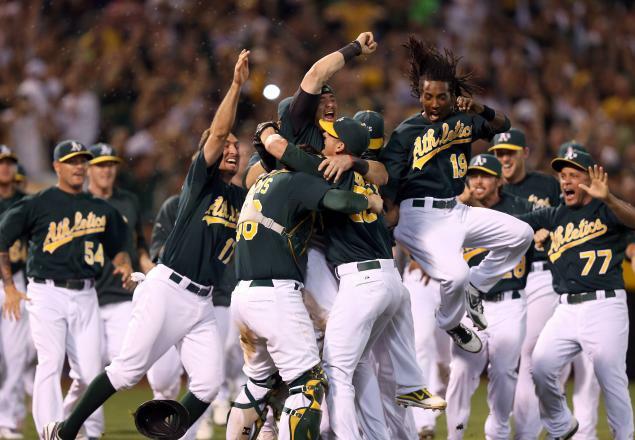 The A's won game 162 of the season, and with it, the A's won the AL West. The Rangers still made the playoffs as a wild card. The National League was not quite so dramatic. In the last week of the season, the Washington Nationals won the NL East. They joined the Reds and the Giants as the other division winners. The defending champion St. Louis Cardinals and the Atlanta Braves secured the two wild card berths. NFL: To follow up on last week's column, the Cardinals and the Saints continued their early season streaks. The Saints lost at Green Bay and dropped to 0-4 on the season. The Cardinals rallied late to pick up an overtime win at home over the Dolphins. That moved the Cardinals to 4-0. The Cardinals join the Houston Texans and the Atlanta Falcons as the only undefeated teams in the NFL. NHL: The NHL makes it into this week's column for all the wrong reasons. Nothing happened on the ice, and nothing will happen for the foreseeable future. The labor dispute continues, and no new talks are scheduled between the players and the owners. As a result, the NHL announced that the first two weeks of the regular season would be canceled. The entire preseason had already been canceled. The regular season was supposed to start on Thursday, October 11. The Week Ahead: Of course, every weekend is important in college football and the NFL, but Major League Baseball takes center stage this week. And NASCAR also has a big event. MLB: There is a new playoff format this year. In order to put more importance on actually winning the division, Bud Selig added a second wild card to each league. The two wild card teams have to play each other in a one-game, play-in game before they can advance to meet a division winner on relatively equal footing. In the National League, the festivities begin on Friday with the wild card game. The Atlanta Braves host the St. Louis Cardinals at 5:00 p.m. EST. The game will be shown on TBS. The winner of the wild card game will then host the Washington Nationals on Sunday. That series will be shown on TBS, but the times are yet to be determined. The series between the division-winning San Francisco Giants and the Cincinnati Reds begins on Saturday night. The Giants will be hosting the Reds at 9:30 p.m. EST. That game will also be shown on TBS. In the American League, the action gets underway in Texas when the Rangers host the Baltimore Orioles on Friday night in the wild card game. That game will air on TBS at 8:30 p.m. EST. The winner of that game will host the New York Yankees on Sunday. That series will air on TBS, but the time for that game is still undecided. The series between the division winners will begin on Saturday at 6:00 p.m. EST when the Detroit Tigers host the Oakland A's. That series will be shown on TBS. 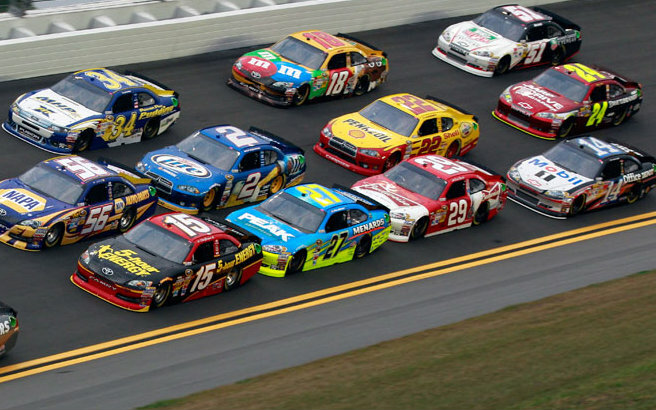 NASCAR: This weekend will be the fourth out of ten races in the Chase for the Sprint Cup. This week the circuit heads to Talladega, Alabama. Talladega is the only super speedway that is part of the Chase schedule. Super speedways are notorious for the "big one" where a dozen cars can be taken out in one big wreck through no fault of their own. As a result, this weekend has the potential to shake up the standings. After this weekend, six normal races will follow. College Football: Three games separate themselves from the rest of the pack this weekend. In the Big 12, #8 West Virginia heads to Austin, Texas to face the #11 Longhorns in the Mountaineers' first road game in their new conference. That game will air on FOX at 7:00 p.m. EST. The other two marquis games are taking place in the nation's marquis conference. That, of course, is the SEC. At 3:30 p.m., a pair of unbeatens will meet on CBS when #4 LSU heads to the Swamp to face #10 Florida. At 7:00 p.m. EST, #5 Georgia will head to Columbia, SC to face the #6 South Carolina Gamecocks. All three of these games will likely impact the national championship picture.